These 15 suggestions will help you save energy, conserve fuel use, and reduce operating costs. 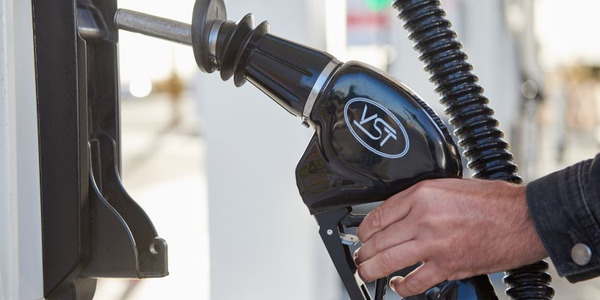 Although fuel prices continue to hit record highs, you can take action to maximize fuel efficiency, save energy, and take steps to conserve fuel in commercial fleet vehicles. 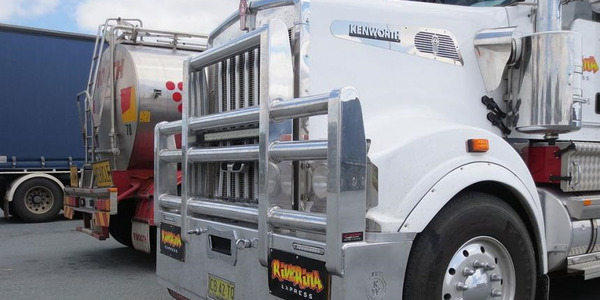 We spoke to fleet operators and gathered 15 suggestions for better fuel economy and best practices that you can implement in your fleet right away. The worst mileage a vehicle can get is zero mpg, which occurs when it idles. 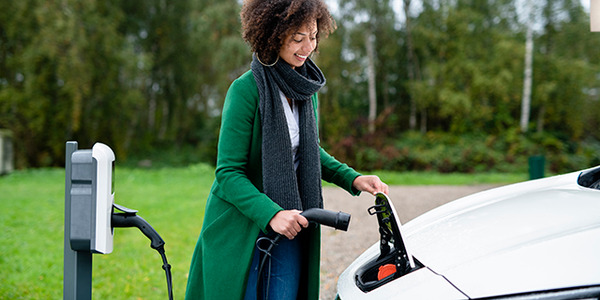 Idling for long periods of time, whether at a railroad crossing or pulling off the road to make a cell phone call, consumes gas that could be saved by simply turning off the engine. Restarting an engine uses about the same amount of gas as idling for 30 seconds. When idling for longer periods of time, shut off the engine. However, turning off the engine may disable vehicle functions, including safety features like airbags. Drivers should be certain to only utilize this strategy in situations where there is no possibility of collision. Vehicles get much better mileage when they’re not loaded with unnecessary weight. Every 200 pounds of additional weight trims one mile off fuel efficiency. Most drivers accumulate material in their vehicle trunks, some of it unnecessary. Instruct drivers to remove all non-required items from the vehicle, such as unneeded tools or materials. Buy tire gauges for your drivers so they can ensure tires are inflated to the manufacturer’s recommended level. One underinflated tire can cut fuel economy by 2% per pound of pressure below the proper inflation level. One out of four drivers, on average, drives vehicles with one or more underinflated tires. When a tire is underinflated by 4-5 psi below the manufacturer’s recommended tire pressure, for example, vehicle fuel consumption increases by 10% and, over the long haul, causes a 15% reduction in tire tread life. Check the vehicle’s doorpost sticker for minimum tire inflation pressure. 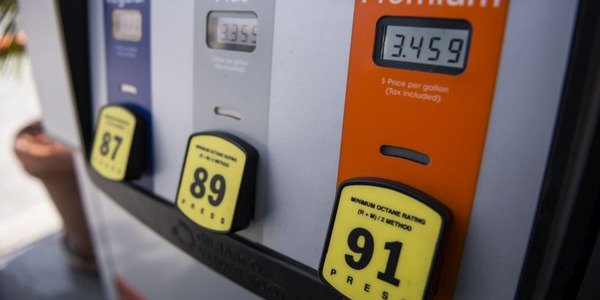 Resist the urge to buy higher-octane gas for “premium” performance, unless the vehicle requires it. Octane has nothing to do with gasoline performance; it merely indicates the volatility factor in the combustion chamber. Unless your vehicle owner’s manual specifically requires it, don’t use premium fuel. 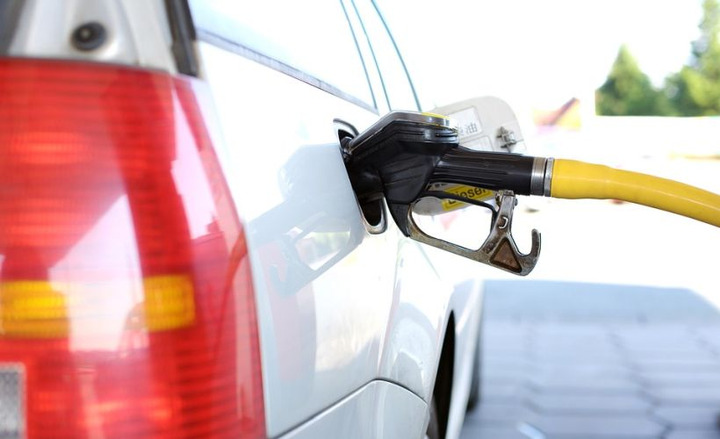 Fuel costs could be cut as much as 10 cents per gallon by using regular fuel instead of premium. This tip may save a life as well as fuel. The Environmental Protection Agency (EPA) estimates a 10% to 15% improvement in fuel economy by driving 55 mph instead of 65 mph. Check the Web for the best fuel deals. GasBuddy.com is a network of more than 179 city-specific Web sites with gas price information posted by users. 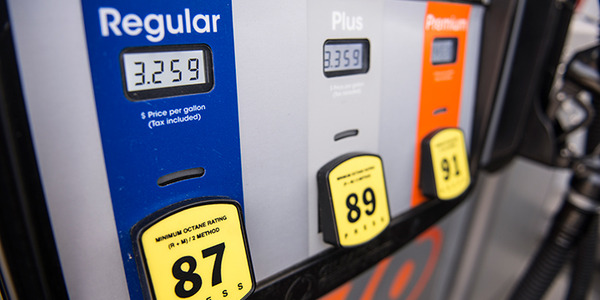 Browse this site on a BlackBerry or other PDA to find cheap gas on-the-go. Use a wholesale club or grocery store. Does your company have a business membership to a warehouse chain such as Costco, Sam’s Club, or BJ’s Wholesale Club? These wholesale clubs typically offer some of the lowest gas prices in town. 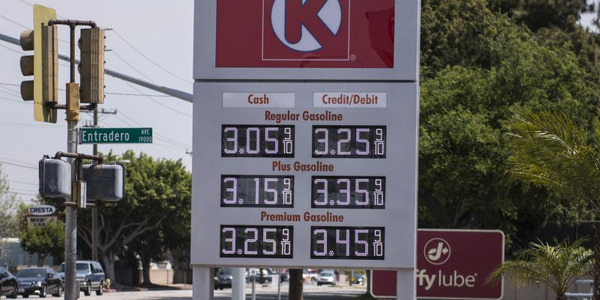 The downsides are that you may find lines at the pumps and the cost of membership (typically $40 to $45) will offset some of your savings if all you do is buy gas. Yet, if you shop at one of these anyway, or you’re a heavy gas user, you may still find the savings worthwhile. Discount retailers, for example, Wal-Mart and Kmart, and grocery stores that have pumps also often charge less than the competition to get people on their lots. In addition, there’s no membership fee required at the discount retailers. Similar to turning off the lights in unoccupied rooms at home, drivers should practice energy conservation habits in their vehicles as well. If a vehicle has a trip computer, encourage drivers to use the “instant fuel economy” display to refine driving habits. Use the air conditioner only when needed. The air conditioner puts extra load on the engine, forcing more fuel to be used. An air conditioner is one of the biggest drains on engine power and fuel economy. It can reduce gas consumption 5 to 20 percent, depending on the type of vehicle and the way it is driven. Don’t use it as a fan to simply circulate air. If it’s just too hot to bear without A/C, keep it set around 72 degrees. Use the vent setting as much as possible. In addition, parking in the shade increases fuel economy since not as much gas will evaporate when the car is out of the sun. Air conditioning won’t need to work as hard to cool down the interior. Wind drag is a key source of reduced fuel mileage, causing an engine to work harder, thereby reducing fuel economy. Minimize wind drag by keeping the windows rolled up. This allows air to flow over the body, rather then drawing it inside the cabin and slowing down the vehicle. A wide-open window, especially at highway speeds, increases aerodynamic drag, which could result in a 10-percent decrease in fuel economy. If you want fresh air, run the climate system on “outside air” and “vent,” and crack the window for additional ventilation. Lowering the tailgate of a pickup creates turbulence, causing wind drag and a less fuel-efficient truck at highway speeds. By leaving the tailgate up, a smooth bubble of air is created in the bed. Encourage carpooling through incentive programs. Possible incentives include reduced-cost or free parking, preferred parking, or reward programs such as prize drawings. Employers can help employees form carpools through rideshare organizations, which help potential carpoolers locate others nearby with similar schedules. Visit Rideshare-directory.com for regional programs. If you have several employees going to the same work location or job site, have them take one vehicle instead of driving separately. Anticipate traffic conditions and accelerate and decelerate smoothly — it’s safer, uses less gas, and reduces brake wear. In stop-and-go commuter traffic, look two or more vehicles ahead as you keep an eye on the driver in front of you. This enables you to accelerate and decelerate more gradually. By anticipating a traffic light change, an upcoming stop sign, or the need to slow down for a curve, you can avoid or reduce brake use and save gasoline in the process. Like the “jackrabbit start,” the “jackrabbit stop” is also a major contributor to inefficient driving. When climbing a hill, the engine is already working hard to overcome gravity. Pushing it harder by stepping on the gas is simply a waste of fuel. Unnecessary changes in speed are wasteful. The use of cruise control helps improve fuel economy. 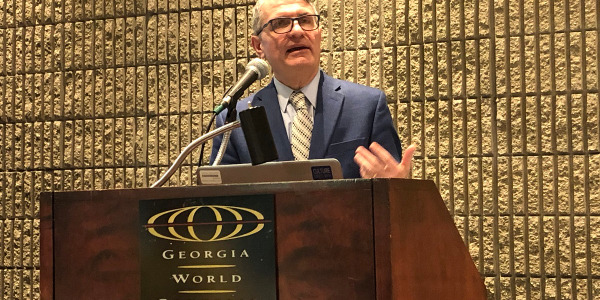 Time studies show that fast starts, weaving in and out of traffic, and accelerating to and from a stop light don’t save much time and wear out components such as brakes and tires faster. Simply limiting quick acceleration and fast braking can increase fuel economy. When accelerating, pretend you have a fresh egg underneath your right foot. A light, steady pressure helps to minimize the amount of fuel consumed and maintain a more moderate and steady speed. By not driving aggressively, drivers can save up to 20% in fuel economy, advises the EPA. Proper maintenance increases a vehicle’s fuel economy. For example, unaligned wheels that fight each other waste fuel. Keep the air filter clean. A dirty filter clogs an engine’s air supply, causing a higher fuel-to-air ratio and thereby increasing gasoline consumption. Use good quality, energy-conserving (EC) oils with a viscosity grade consistent with the manual. Look for bottles marked with the symbol ECII, which is the American Society of Testing Materials (ASTM) logo for fuel-efficient oils.